12 ELIGIBLE 3-year-olds WILL BE COMPETING FOR A WINNER TAKE ALL $10,000! Stallion Owner of eligible winning 3-year-old receives $2,000! • This event is run in compliance with NRHA rules unless otherwise stated in this entry form. The decision of the judges officiating the event and/or the governing ApRHA Board of Directors is final. NRHA Patterns will be used. • There is only 1 Go. • Both the owner and rider must be a current member in good standing of both the ApHC, ApRHA , NRHA, and an ApHC Regional Club. • All divisions are 1 handed shank bit or 2 hand hackamore/snaffle bit. 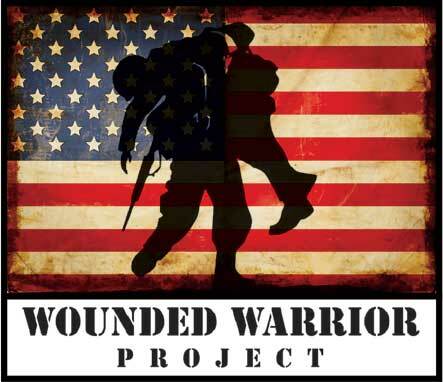 AS PART OF THE ApRHA PHILANTHROPIC ENDEAVORS, THERE WILL BE A SILENT AUCTION AGAIN THIS YEAR BENEFITING THE WOUNDED WARRIOR PROJECT!! AUCTION WILL BE LIVE 10/26-11/01/2018 WITH 50% OF PROCEEDS BEING DONATED TO THIS GREAT PROGRAM – COME HELP US SUPPORT THESE GREAT MEN & WOMEN! RULES: Must be entered in the L4 Open division and meet the current NRHA requirements for L1 eligibility. 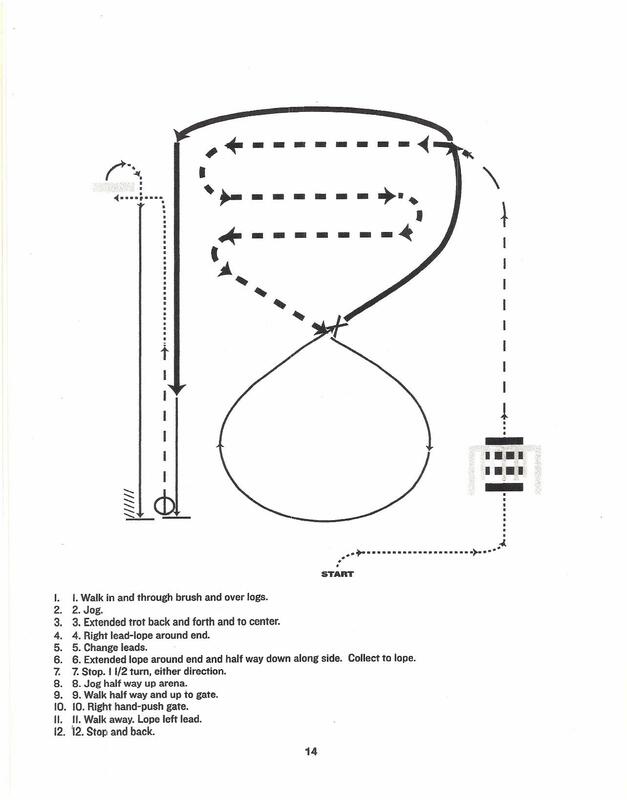 Open Horses must be 3-yrs-old, L1 Division is 1-handed shank bit or 2-hand hackamore/snaffle bit. 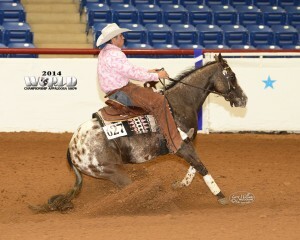 Runs concurrently with L4 Open Futurity. • There is only 1 Go for all divisions. • Non-Pro must hold a current ApHC and NRHA Non-Pro card and must meet the ApHC Non-Pro conditions. Youth are eligible for the Non-Pro division provided they meet the Non-Pro conditions. • Junior Horses (4-, 5-year-old) may show 2-handed in snaffle bit or hackamore and horses aged 6 show 1-handed shank bit, – Open and Non-Pro. NP 4-year-old Incentive Class horses MUST be entered in NP Division to be eligible for entry into Incentive class. Separate entry fee applies – one Judges fee. This event is run in compliance with NRHA rules unless otherwise stated in this entry form. The decision of the judges officiating the event and/or the governing ApRHA Board of Directors is final. 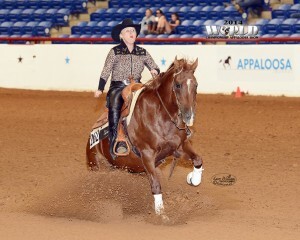 • Stall reservations must be made with the ApHC World Show. • Both the owner and rider must be a current member in good standing of both the ApHC and ApRHA. • A copy of the horse’s papers must accompany this entry form. NEW FOR 2018!! 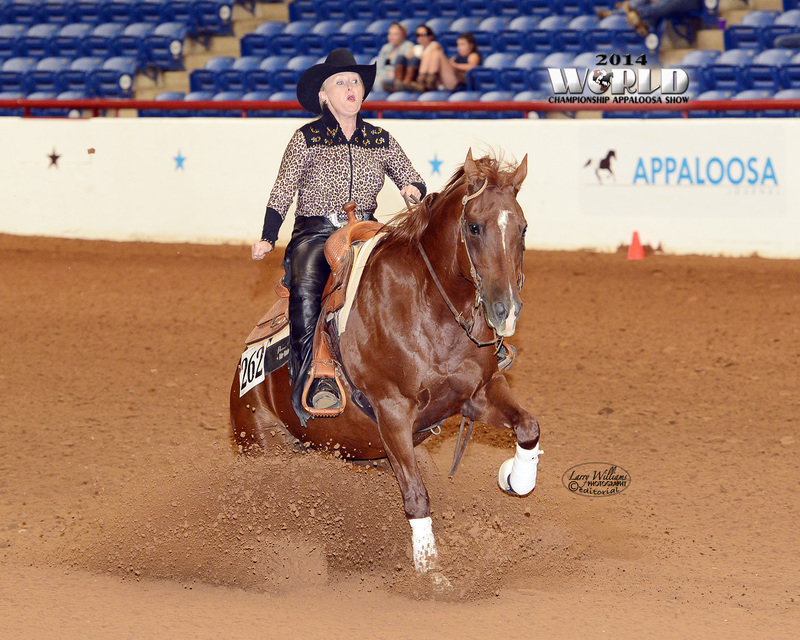 The following classes will be jackpotted at the World Show: Senior Reining, Junior Reining, Non-Pro Reining, Novice Non-Pro Reining, Masters Reining, Hackamore Snaffle-Bit Reining – $25 Entry Fee/$5 Office Fee!! Payback is a 75/25 split, payout based on NRHA Pay Scale. 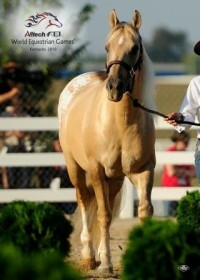 FOR ALL CLASSES: Scratches received after payment has been accepted will be issued a refund, less the Judges Fee, ONLY if 1) scratch is accompanied by a signed Veterinarian certificate indicating the reason horse must be scratched, and 2) Veterinarian certificate must be dated prior to day of show.